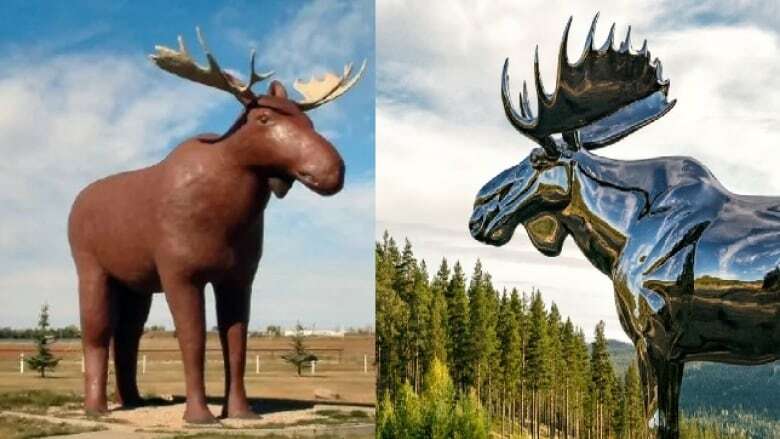 People in Saskatchewan are working to restore Mac the Moose to his former glory, after a moose statue constructed 240 kilometres north of Oslo, Norway, dethroned him as the tallest moose statue in the world. There's a global battle brewing over who's got the biggest moose statue in their city. 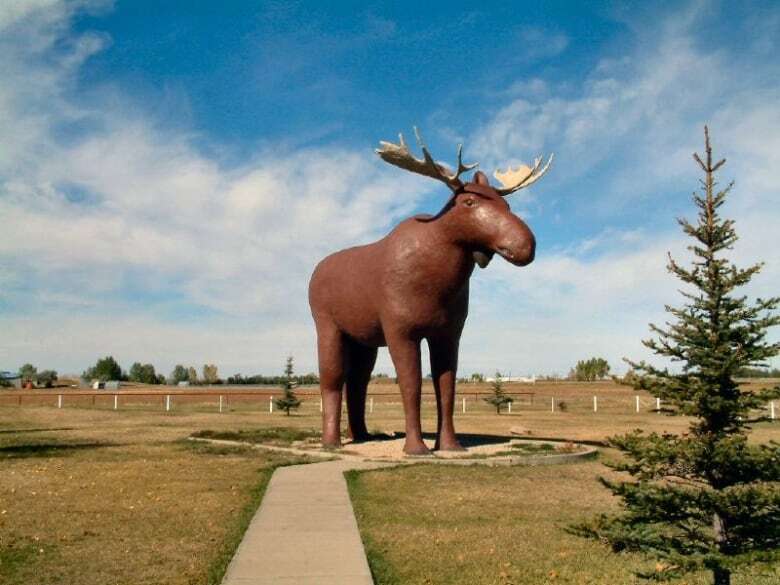 For 31 years, Mac the Moose, whose towering presence graces Moose Jaw, Sask., was the biggest moose statue in the world. He's since been dethroned by a so-called "bling" statue some 240 kilometres northeast of Oslo, Norway, that's a mere 30 centimetres taller. Fraser Tolmie, Moose Jaw's mayor, isn't impressed. "It's personal for me," Tolmie said in a Facebook video posted on Wednesday. Tolmie noted Mac the Moose was named after former city councillor Les McKenzie — who just happens to be his wife's great-uncle. "He's practically family to me," Tolmie said. He asked the people of Moose Jaw what they are willing to do in order to restore Mac the Moose to his former glory. A press release issued by the City of Moose Jaw indicates a press conference will be held on Monday, where Mac the Moose will answer two burning questions: does he want any measures taken to make him the biggest moose in the world, and if so, how does he want to accomplish that goal? Tolmie isn't alone in his quest to restore Mac the Moose to his former glory. Justin Reves and Greg Moore, of Justin and Greg show fame, have launched a GoFundMe campaign supporting Mac. "Mac's been there since 1984, and it's called Moose Jaw. How can we live in, or live next to a town that's called Moose Jaw, who has the second largest moose in the world?" They asked of CBC Radio's Afternoon Edition. The pair suggested building a bigger rack for Mac, or even putting a hat on the moose statue to overcome the foot of difference between the two statues. Dagbladet, a Norwegian media company, spoke with two people outside of the moose statue 240 kilometres north of Oslo. "Congratulations Canada, on having the biggest moose in the world for 31 years, that's a great achievement," the woman in the video said. "We're sorry to kick it out in second place, but we are super thrilled." While holding a picture of Mac the Moose, she said it's impossible to compare the two in terms of looks. 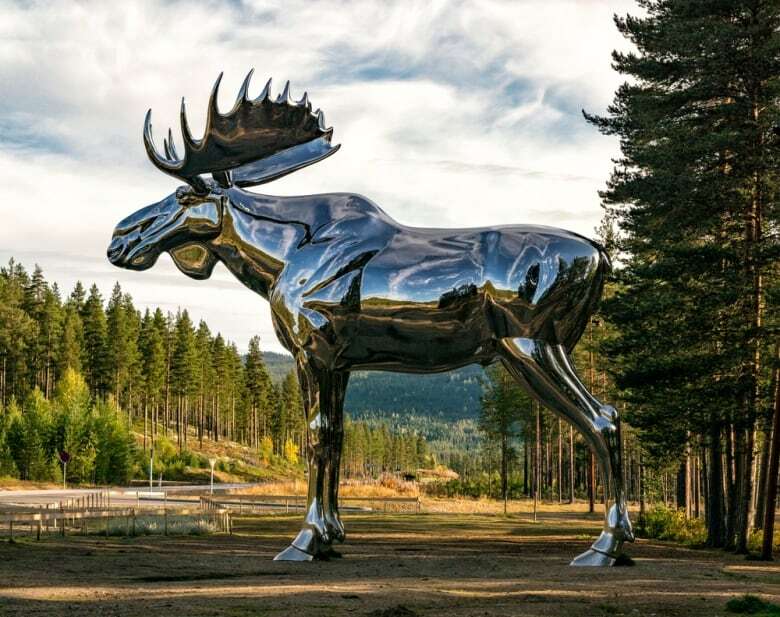 She noted the moose statue in Norway is more of "bling moose," whereas Mac the Moose is a simple replica of the real animal. She said if Moose Jaw makes an effort, they could beat out Norway's moose for the record. But the Norwegians aren't going to let the record go easily. "We will have to try to make our moose even bigger," she said. "The designer of the moose, the artist, she said that maybe we can make a moose that's 20 metres tall. We'll look into it."